The social networking website Facebook launched February 2004 and rose to the number one social networking spot in competition with Myspace. Facebook was founded by Mark Zuckerberg with his college roommates and fellow computer science students Eduardo Saverin, Dustin Moskovitz, and Chris Hughes. 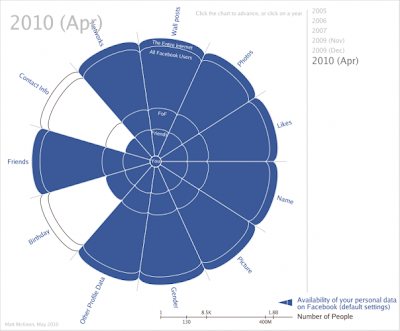 Facebook had 138.9 million monthly unique U.S. visitors in May 2011. And, over 50% of Americans have a Facebook Account. The next largest block of accounts are in Western Europe. 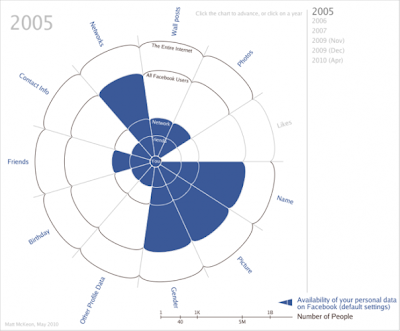 As of January 2011 there are over 600 million Facebook users. It doesn’t take much forethought to realize that there are countless privacy pitfalls in a world where a near-endless stream of personal bits is indiscriminately posted, indefinitely stored, and quietly collected and analyzed by marketers, identity thieves, and professional government snoops in America and abroad. The public controversies that have erupted to date—Facebook’s drastic terms of service changes and Google Buzz’s forced sharing of email contacts are only the first snares in a rapidly growing thicket of social networking privacy issues. 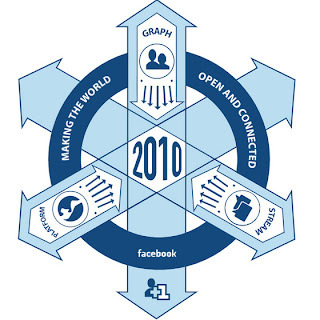 In 2007 the success story of Facebook spread across the blogosphere. 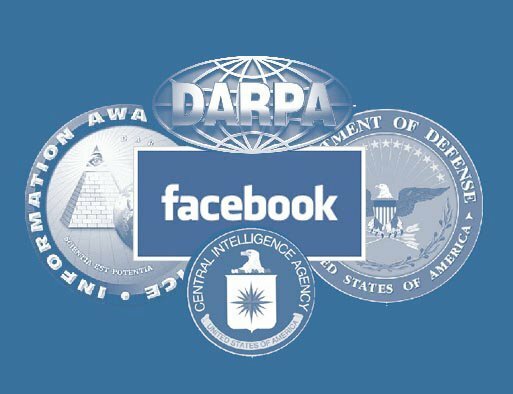 A complex but riveting Big Brother-type conspiracy theory which links Facebook to the CIA and the US Department of Defense. When a website, movie, news article, book, or any media element that excels and rises to a number one spot, you can be assured that there is illuminati/governmental influence and funding behind the success! 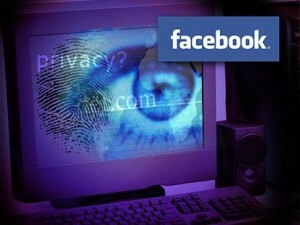 April 2011: Facebook quietly switches on facial recognition tech by default. Facebook has rolled out its facial recognition technology, but has switched the feature on by default without telling its users first. The Mark Zuckerberg-run company started using its facial recognition software in December last year for its Stateside users in a move to automatically provide tags for the photos uploaded by Facebook users. November 6, 2007, Facebook launched Facebook Beacon, which was an ultimately failed attempt to advertise to friends of users using the knowledge of what purchases friends made. The Evolution of Privacy on Facebook created by Matt McKeon illustrating the progression of changing the default settings. For current updates of the chart below click on the image. "Most Facebook users still don't know how to set their privacy options safely, finding the whole system confusing. It's even harder though to keep control when Facebook changes the settings without your knowledge." Facebook shouldn’t require its users to constantly check their privacy settings to see what the company has changed since their last visit to the site. The onus should not be on Facebook users having to ‘opt-out’ of the facial recognition feature, but instead on users having to ‘opt-in’. The tech works by scanning newly uploaded pics and then identifies faces from previously tagged photos already stored in Zuckerberg’s internet silo. Is Facebook eroding the online privacy of its users by stealth? The prime question to ask is if Facebook is not being used for Intelligence agencies such as the CIA and Mossad? And, why is Chris Hughes on the guest list of the Bilderberg meeting of 2011? Do you really believe the boys from collage are not Zionists and tie themselves with the New World Order agenda considering the history of controversial changes that they were forced to withdraw and change because of public opinion. Facebook’s first round of venture capital funding ($500,000) came from former Paypal CEO Peter Thiel. Author of anti-multicultural tome ‘The Diversity Myth’, he is also on the board of radical conservative group VanguardPAC. The second round of funding into Facebook ($12.7 million) came from venture capital firm Accel Partners. Its manager James Breyer was formerly chairman of the National Venture Capital Association, and served on the board with Gilman Louie, CEO of In-Q-Tel, a venture capital firm established by the Central Intelligence Agency in 1999. One of the company’s key areas of expertise are in “data mining technologies”. Breyer also served on the board of R&D firm BBN Technologies, which was one of those companies responsible for the rise of the internet. Dr Anita Jones joined the firm, which included Gilman Louie. She had also served on the In-Q-Tel’s board, and had been director of Defense Research and Engineering for the US Department of Defense. She was also an adviser to the Secretary of Defense and overseeing the Defense Advanced Research Projects Agency (DARPA), which is responsible for high-tech, high-end development. Wikipedia’s IAO page says: “the IAO has the stated mission to gather as much information as possible about everyone, in a centralized location, for easy perusal by the United States government, including (though not limited to) internet activity, credit card purchase histories, airline ticket purchases, car rentals, medical records, educational transcripts, driver’s licenses, utility bills, tax returns, and any other available data.”. Not surprisingly, the backlash from civil libertarians led to a Congressional investigation into DARPA’s activity, the Information Awareness Office lost its funding. 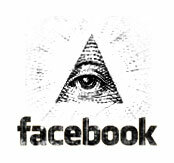 It would be understandable to view Facebook as the IAO’s new mask considering there are 138 million users as of 2011. Parts of the IAO’s technology round-up included ‘human network analysis and behavior model building engines’, which Facebook’s massive volume of neatly-targeted data gathering indeed allows a convenient replacement. If you not convinced yet, view Facebook CIA Project on The Onion News Network: It’s a spoof, but, sure has a ring of truth. Facebook has become a platform where you have no choice but to make certain information public, and this public information may be shared by Facebook with its partner websites and used to target ads. Facebook is designed to make it easy for you to share your information with anyone you want. You decide how much information you feel comfortable sharing on Facebook and you control how it is distributed through your privacy settings. You should review the default privacy settings and change them if necessary to reflect your preferences. You should also consider your settings whenever you share information. Viewed together, the successive policies tell a clear story. Facebook originally earned its core base of users by offering them simple and powerful controls over their personal information. As Facebook grew larger and became more important, it could have chosen to maintain or improve those controls. Instead, it’s slowly but surely helped itself, and its advertising business partners and possibly intelligence agencies to more of its users’ information, while limiting the users’ options to control their own information. Before you permanently delete your account, there is an option to download all of your data. I recommend doing that first, but it may take a few hours to complete. Once your download is done and you complete the deletion process. Be sure not to return to Facebook in any form for at least 14 days or your account will be transitioned from the Deletion queue to Deactivated status. The links below will take you directly to the “Delete” account button, which is generally difficult to find (by design no doubt). The Deactivation link is easy to find within your Account settings. That is FB’s preference because they’re “banking” on the expectation that you’ll be back. There are many more videos, which you will find on Youtube.